How much will Trump's border wall cost? The wall that President Trump has vowed to build along the U.S. border with Mexico could cost more than $21 billion, nearly twice the amount of previous estimates, according to an internal Homeland Security Department report that was obtained by Reuters. The $21.6 billion plan will be presented to Homeland Security Secretary John Kelly in the coming days, according to Reuters. The report details how the U.S. could build a barrier -- including both walls and fences -- along 1,250 miles of the border over the next three years. And the report said the first phase of construction would target the areas near San Diego, California, El Paso, Texas and the Rio Grande Valley in Texas. 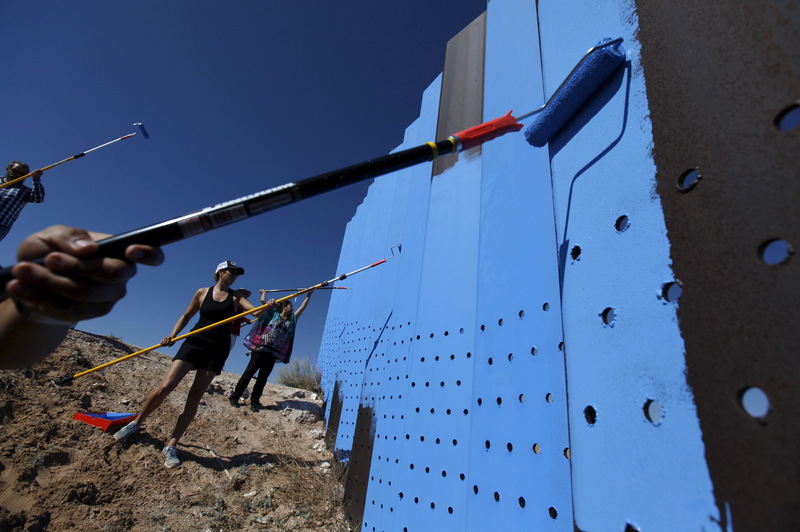 DHS officials assume in the report that Congress will approve funding for the wall in April or May, and Mexico would eventually reimburse the U.S., even though its leaders have been adamant about not financing the project. At a House Homeland Security hearing earlier this week, Secretary Kelly did not address the funding of the wall, though he did give the panel an estimate on its timing. “It depends actually, you know, on funding and all the rest of it, but I’d like to see that we would be well underway within two years,” he said when asked about the government’s timeline for construction. It’s unclear, however, whether the GOP-controlled Congress will approve of such an expensive plan. Republicans might not be as united on this issue GOP leaders have projected. Rep. Will Hurd, R-Texas, for example, criticized the president’s proposal in a statement last month. His district straddles 800 miles of the border with Mexico from San Antonio to El Paso and is a former undercover CIA officer. CBS News’ Katie Ross Dominick contributed to this report.